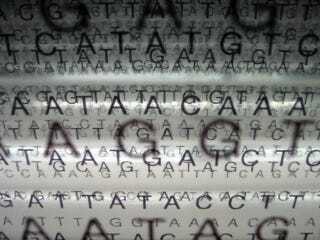 Planning on Getting Your DNA Sequenced? Ask Your Questions Here! Misha Angrist is an assistant professor at Duke who specializes in personal genomics. He deals with questions such as what having all our personal genetic information just a mailbox away means, and just who owns your genetic information. He's here today to answer all your questions about personal genetics. Ask him anything you want about the emergence of the sequence-your-own-DNA industry, the practical implications of a world where our personal genetic information is at our fingertips, and the thorny questions surrounding just who owns our genetic information. He's joining us today from 12:30-1:30 (PST). Please post your questions for him now!